In the first four years of our existence, The Arc – Jefferson, Clear Creek & Gilpin Counties made enormous strides in furthering opportunities for children and young adults with intellectual and developmental disabilities (I/DD) in our community. We originally organized to create educational classes in the public schools, and although Jefferson County wasn’t picked for a State pilot program for education of students with I/DD, we successfully lobbied our school district to participate anyway. Two years later, when another pilot program for what would become the community-centered board was established, we were again disappointed at not being picked for the program; still we rolled up our sleeves and began planning for the eventual adoption of this program statewide. These early endeavors truly set the tone for the work of The Arc – Jefferson, Clear Creek & Gilpin Counties. With or without government or broad societal support, our founders were determined to forge ahead and create new options for people with I/DD. At a time when placing a child at the State Home and Training School at Ridge was commonplace, our founders set out to make incremental changes that would ultimately transform how our culture viewed people with disabilities. From the time of its opening in 1918, the State Home and Training Schools at Ridge and Pueblo (large, residential facilities for people with developmental disabilities) were the only options for families of children and young adults with I/DD to get the support that they desperately needed. Parents faced tremendous social pressure to “protect” the typical children in the community and in their families by keeping their children with disabilities out of sight and shut away. This sweep-them-under-the-rug cultural belief cultivated an extraordinary sense of shame for parents, compelling them to place their children in the State homes, even if they wanted to keep their children at home with their families. With no other choices, demand for these limited options became so high that the state could not keep up with the requests for assistance; State homes swelled to capacity, with long waiting lists for families seeking to commit their children. When there weren’t openings in the State homes, these families found themselves stuck between the metaphorical rock and a hard place. Unable to place their children in institutions or to enroll them in schools, families who kept their children at home had no resources at all to educate, rehabilitate, or otherwise support their child outside of their own love and commitment. Many other families fell into a gap--their children were considered too capable to be placed in State homes and yet those same children were ineligible for the public schooling, which was then-limited to students with minimal intellectual disabilities. Frustrated by closed doors everywhere they turned, one family built their own private residential facility and school, Laradon Hall in 1948. Around this same time, Mrs. Cleo Wallace opened her own private residential facility and school as well. These two places added just 150 “slots” for children with I/DD, barely making a dent in the unmet needs of the 3,000 children with I/DD estimated to be living at home at the time. Families throughout the community were stuck. These parents, who were also taxpayers, were stuck in a world that told them to put their children away, at State expense, but the State would neither house nor educate their children. From this void, fueled by a growing national movement and the commitment of President Kennedy and his successors, our founders began moving mountains, one piece at a time. Alongside other chapters of The Arc, our founders began chipping away at every obstacle they encountered, gradually building opportunities for their children and changing our culture along the way. 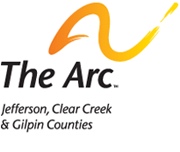 The early goals of The Arc – Jefferson, Clear Creek, & Gilpin Counties centered on making inroads in all areas of life for people with I/DD of all ages. As we worked to improve life for people with I/DD, we raised huge sums of money ourselves and lobbied every agency we could to provide additional funding. In the 15 years from 1965 to 1979, we worked on countless legislative bills, at least 55 of which were ultimately enacted. We focused on building and expanding special education for our youth and vocational rehabilitation for adults, building recreational and religious opportunities, establishing community-based residential care, improving institutional care and, ultimately, deinstitutionalizing residents in State-run facilities. Public education of students with disabilities was virtually non-existent in the early years of our organization, so The Arc – Jefferson, Clear Creek & Gilpin Counties worked to change this. Even for those students deemed “educable” under the language of the time, special education was not mandated by our government; it was an option that districts could choose. The Arc worked persistently to encourage districts to both opt-in by establishing programs for these students, or for those that already had classes, to expand the programs and create more seats. According to a 1962 feature in the Rocky Mountain News, only 2,704 of the 8,180 “educable” children in the state were being educated in the schools; this was only a third of all eligible students. Obviously “opting-in” wasn’t sufficient, and over time we lobbied the legislature to make special education mandatory. In fact, in 1972, The Arcs helped pass the Education of Children with Learning Disabilities (ECLD) Act in Colorado, making special education mandatory a full three years before Congress passed Public Law 94-142 – what would one day become known as the Individuals with Disabilities Education Act (IDEA). Of course, simply passing ECLD didn’t change things overnight, The Arcs and other local entities dedicated thousands of hours to seeing that its groundbreaking provisions were implemented. For those districts that had chosen to opt-in to special education, program expansion was hampered by a shortage of teachers who were willing and available to work with students with I/DD. The Arc took on this challenge, too, as we decided to start recruiting people to the uncharted waters of special education by providing scholarships to potential educators. Once the teaching population began to grow, our efforts were still hampered by a money shortage to fund educational expansion. The local chapters of The Arc continually lobbied the state legislature to increase funding, applying constant pressure year after year in the hopes of making incremental gains. When we found an opportunity to finally educate children who weren’t already being served in the schools, we jumped on it. We established the first class for the then-called “trainable” children in the public schools. Though we would never use this term today, at the time people referred to children as “trainable” if they could perform simple, repetitive tasks with training. There continued to be a large unmet need for education for these children, so The Arc chose to start its own program that was later taken over by our local community center board, the Jefferson County Community Center (JCCC). Although we were no longer responsible for its day-to-day operation, we stayed heavily involved in the JCCC school by volunteering ourselves and recruiting others to volunteer as well. As funding for special education became available at the federal level, we worked with school district, County, and State officials to route this money to the programs of the JCCC, working tirelessly to expand existing programs and create new ones. As we helped to establish and build up the JCCC, we gave time, money, and supplies to ensure its success. Knowing there were no resources to help young adults find work, we initiated all the research and planning to create sheltered workshops, so that when JCCC was officially opened in 1964, this program could be up and running quickly. We actively sought contracts for the workers and purchased their items as often as possible. We even convinced the legislature to give preference to items produced in workshops when purchasing for the state. In the early years of the JCCC programs, transportation of students was an ongoing issue, so The Arc purchased school buses to ensure that none of our program participants missed out on these critical resources we’d worked so hard to develop and secure. We continued purchasing buses for JCCC use until the early 1980s. As enrollments in JCCC programs increased, we raised hundreds of thousands of dollars, over time, to ensure they had sufficient matching money to receive any available government funds. The funding issues for community center boards were a concern throughout the state, so local chapters of The Arc simultaneously provided financial support to the centers and worked to pass legislation increasing the financial responsibility of the state and tapping into federal funding. Through the dedication of the boards of The Arc and the JCCC, a long-held dream of specialized schools for all of our children came to fruition. After years of planning and fundraising, the Margaret Walters School opened on the north end of Jefferson County and the Robert Weiland School opened on the south end. While these schools were a monumental achievement for our community, by the time the schools were opened in 1976, the nation was on the verge of massive changes in special education spurred by the passage of P.L. 94-142 the previous year. It wouldn’t be long before a new generation of parents brought forth their own ideas of what special education could look like, with many rejecting the segregated settings of Walters and Weiland. In addition to the enormous gains in education, The Arcs were also concerned about the continuing placement of children in the State home at Ridge. After seeing the successes and achievements of the children and young adults in the JCCC programs, we knew these children had greater opportunity to achieve their potential if they stayed in the community, and it became painful to know that children were still being placed in an environment where they wouldn’t be given the chance to learn and grow. The founders of The Arc knew that any life-changing movement requires constant forward motion and change. With all that we had built, why would parents still choose the State home? Was it because families didn’t know all that we’d accomplished and what was possible? Maybe, so we took it upon ourselves to teach them. We went to doctors and social workers, hoping they would tell young families about these alternatives to institutionalization. We sent letters to everyone we could think of. We stopped people on the streets. We went door-to-door to find those people who were still shut away at home, who weren’t aware of the changes happening in our community, and educated them about what was now available. With the visibility of JCCC program participants in the community and the extensive outreach and community-building by The Arc, the perception of people with I/DD in the community gradually began to shift. One of the key ideas that helped build momentum for this societal shift was the theory of normalization, which was widely spread throughout the nation in the 1970s by Dr. Wolf Wolfensberger of Omaha, Nebraska. This then-revolutionary idea centered on “making available to people with I/DD the fundamental patterns of life and conditions of everyday living which are as close as possible to the regular circumstances and way of life of society.” In short, normalization was a direct challenge to the idea that the best thing we could do for our children with I/DD was to cast them off. To promote normalization, Wolfensberger proposed that communities could deputize citizen advocates who would develop one-on-one relationships with people with I/DD. These citizen advocates, outside of the human services profession, would respond to the needs and protect the interests of people with a disability when asked, which would ultimately lessen the deep concerns of parents who wondered what would become of their child once the parents were gone. The Board of The Arc – Jefferson, Clear Creek & Gilpin Counties voted to adopt Citizen Advocacy as a program in 1973. Our first paid employee, Vera Shader, was hired as a Citizen Advocacy Coordinator that same year. Her position was ultimately funded through government grants to promote Citizen Advocacy. Later that year, the program expansion led The Arc to move into our first offices at 26th & Kipling in Lakewood. The future was full of possibility for the founders of The Arc. We had built programs that were allowing families to raise their children at home, to keep them in the community, and then, through Citizen Advocacy, we were systematically teaching the community to engage with and support our loved ones with intellectual and developmental disabilities. The late 1960s and early 1970s were exciting times for people with I/DD. Community-based programming offered by the community centers and some school districts was changing rapidly. Members of The Arc were surrounded by evidence of how these new programs were transforming people who had just recently been considered incapable of learning or unable to benefit from the typical conventions of daily life. As our local disability initiatives gathered steam, we asked ourselves why people with disabilities in the community should be the only ones to benefit from all of this new thinking and new programming. Why not the residents of the State home at Ridge? We soon found ourselves working to ensure that school-aged children at Ridge Home had the same access to education as children living in the community. As children began attending JCCC classes, we soon pushed to have older Ridge residents enrolled in the workshop programs at the community center. Even if it was only in the daytime, at least it was a start. But after having these children and adults out in the community during the day, we found ourselves struggling with the idea of sending them back to the giant, hospital-like, clinical institution at night. As a result of the increased emphasis on normalization, coupled with the aging of young adults already living in the community, the local community centers had begun creating group homes in neighborhoods throughout the county. With substantial financial assistance from The Arc, the JCCC was purchasing group residences for people with disabilities to live in the community. Why couldn’t we do this for the residents at Ridge? Instead of constantly rehabbing these sprawling institutions, we asked, why don’t we direct that money toward construction of smaller cottage-like residences on the state home grounds? In fact, beyond the building of group homes at Ridge, we soon were questioning whether Ridge was even an appropriate environment for the residents. Certainly some of the residents had intensive medical needs, but what about the others who could be successful in the community, who could be taught to work and care for themselves? The Arc’s representatives worked diligently through the many legislative and legal obstacles to identify and transfer state home residents who might better benefit from programs at the JCCC. We started chipping away at enrollments in the state home at Ridge, one bed at a time. And so the seeds of what would become a national deinstitutionalization movement were sown, setting the stage for years of work by the next generation of advocates at The Arc. In the 15 years immediately following the organization of The Arc – Jefferson, Clear Creek & Gilpin Counties, our local community and our nation underwent an epic shift in what we believed about and how we treated people with intellectual and developmental disabilities. Today, in 2011, it is nearly impossible for a new generation of young parents to comprehend how far we’ve come. Yes, many young parents are aware that institutionalization was common in the past, but very few understand how recent that past was. Although institutionalization peaked nationwide in 1967, children were still being placed in Colorado institutions well into the 1970s… about the same time these new parents were themselves being born. Largely due to the work of The Arc, in one generation, the community began to embrace people with I/DD, helping to integrate them into the community through the creation and expansion of community-based programs funded by the state. While these gains were impressive, there was and continues to be a need to build additional supports to help people with disabilities achieve full inclusion in the community.